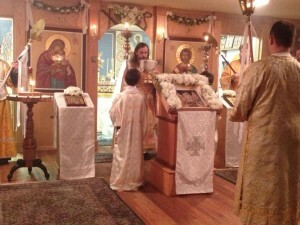 Welcome to St. Elizabeth the New Martyr Orthodox Church! 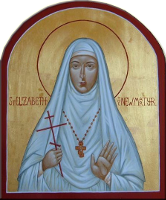 St Elizabeth the New Martyr Orthodox Church is a mission parish of the Russian Orthodox Church Outside Russia (ROCOR) under the spiritual direction of His Eminence, Metropolitan HILARION of Eastern America and New York and First Hierarch of the Russian Orthodox Church Outside of Russia. The church is located in West Columbia, South Carolina, which is five minutes west of downtown Columbia. We warmly welcome all who are searching for a church that is in unchanging continuity with the Church of the Apostles and where they may find the purity of the Apostolic Faith. Come and worship with us in the fullness of Orthodoxy! 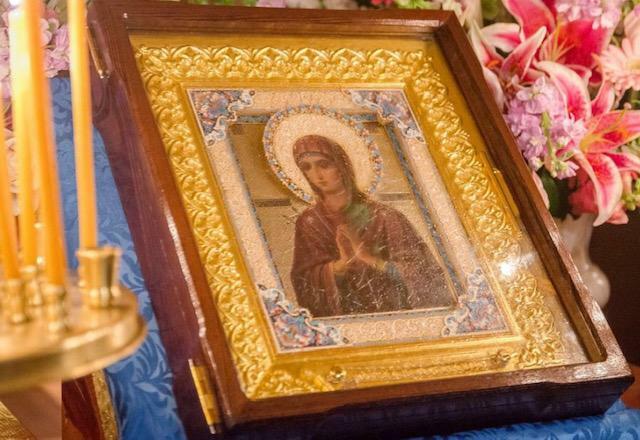 Icon: Mother of God, "Softener of Evil Hearts"
Attached to this post are some of the stichera (verses) from the services of Matins and Vespers for the third week of Great Lent. They are taken from The Lenten Triodion, which is the special liturgical book used during this season of the year for our worship and edification. The verses chosen focus on how fasting, prayer, and practicing the Christian virtues are essential for our spiritual lives, which is being "refocused" during Great Lent. Attached to this post are some of the stichera (verses) from the services of Matins and Vespers for the second week of Great Lent. They are taken from The Lenten Triodion, which is the special liturgical book used during this season of the year for our worship and edification. The verses chosen focus on how fasting, prayer, and practicing the Christian virtues are essential for our spiritual lives, which is being "refocused" during Great Lent.